As well as roasting and supplying handcrafted speciality coffee we offer a variety of services and equipment for coffee shops, cafés, offices, caterers and even those passionate about coffee in their own home. Chapter Coffee’s extended family includes a reliable network of contacts and established suppliers, which means we can source a wide range of equipment and accessories. From milk jugs to custom-spec espresso machines, we can help you find the right product at the best price – please get in touch with your requirements. You’ve got the tools, now it’s time to learn how to use them. Chapter Coffee offers a variety of training solutions, from group lessons, to individual sessions. Our training team offers invaluable knowledge covering everything from the basics and a general introduction to coffee through to advanced level barista skills. We understand that every coffee shop is unique, and so we can create a bespoke training programme designed around you, which can be delivered in-house or at our training facility in London. 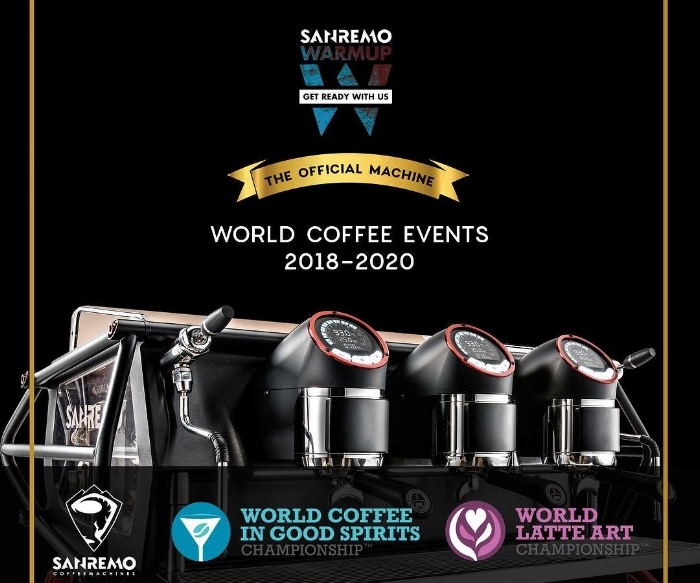 We a proud to announce that we are partners with Sanremo. They build hand crafted espresso machines for baristas, by baristas. As well as espresso machines, we can supply grinders, batch brewing kettles and a wide range of hand brewing equipment. We import the machines from their factory in Italy and can work with you and your team to source the best machine for your needs, install, service and provide training so you get the best from our beans! We can provide payment plans to help spread the cost of your machine and will be with you every step of the way.